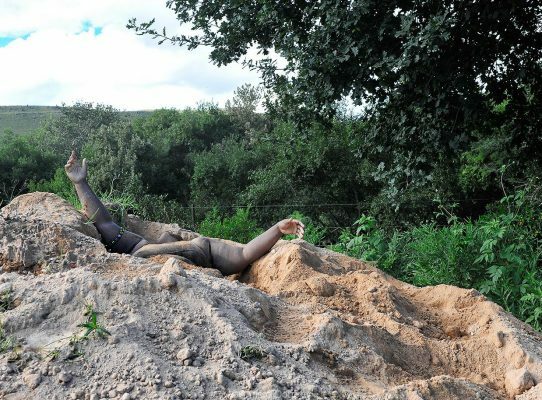 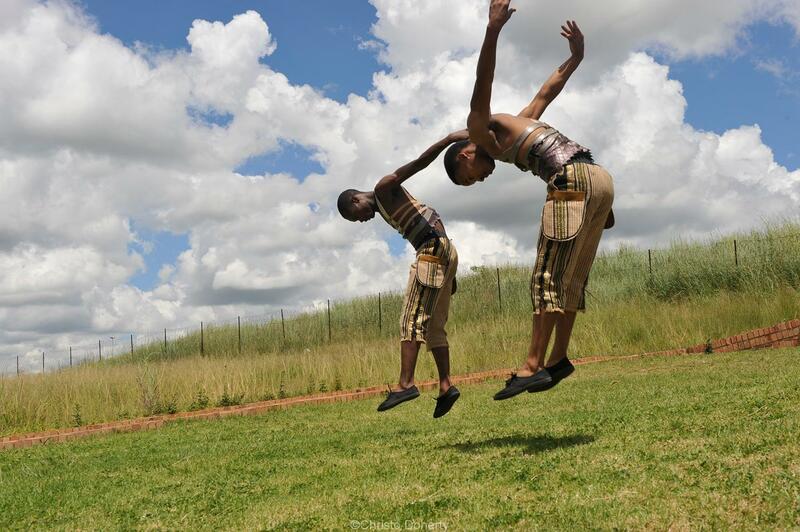 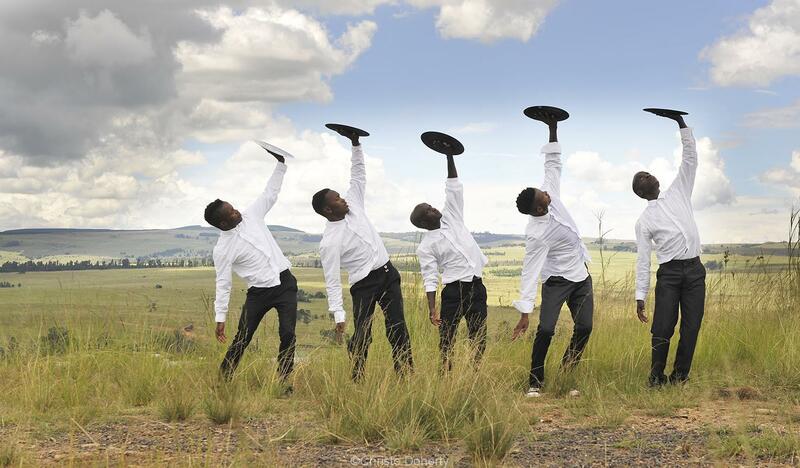 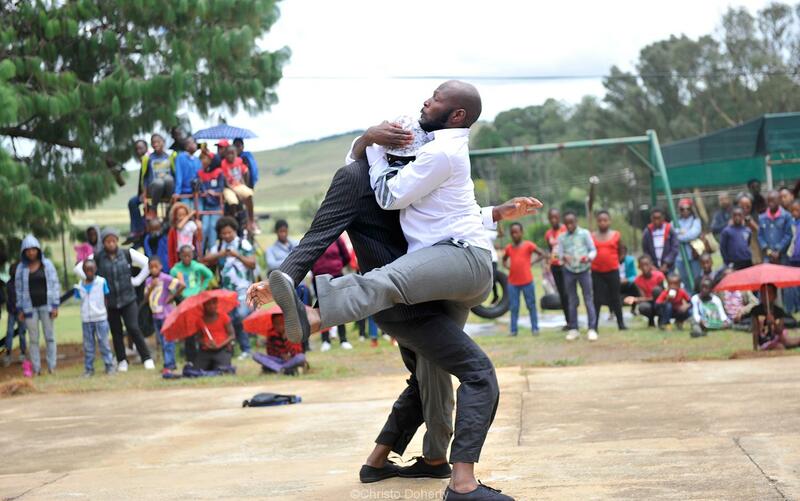 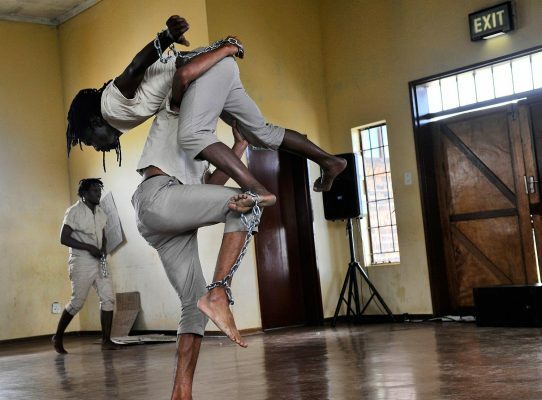 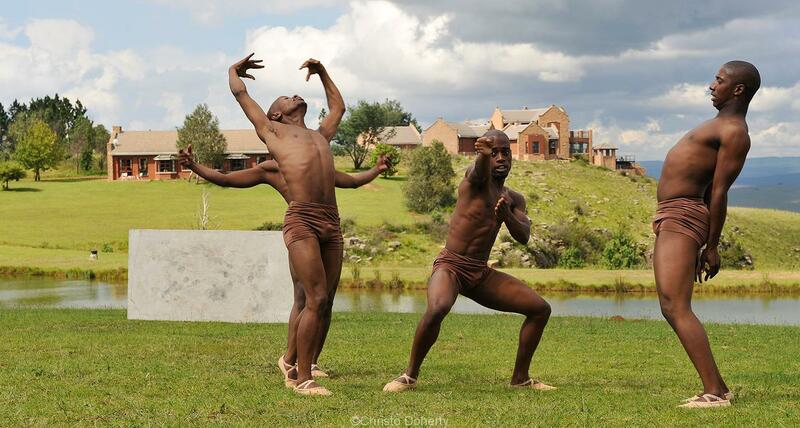 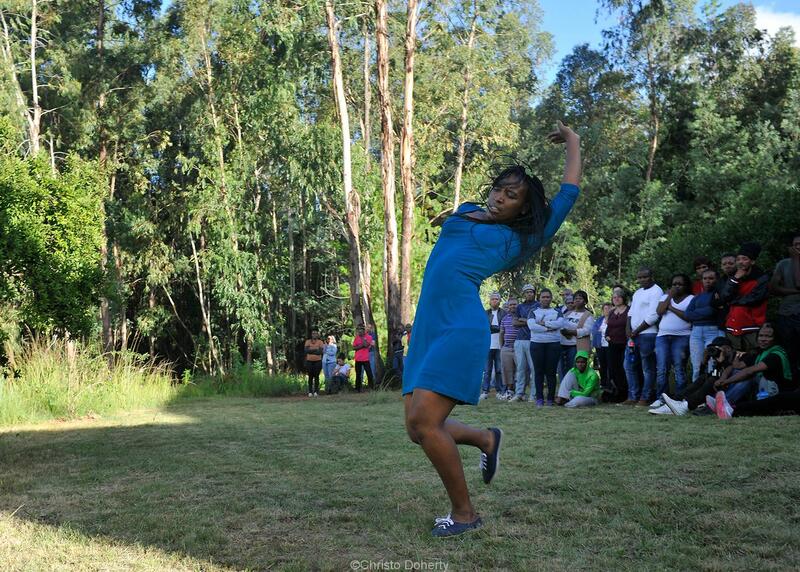 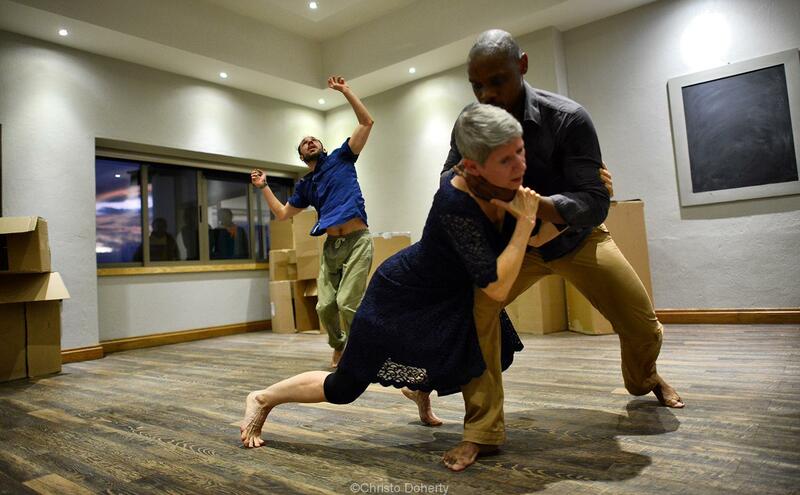 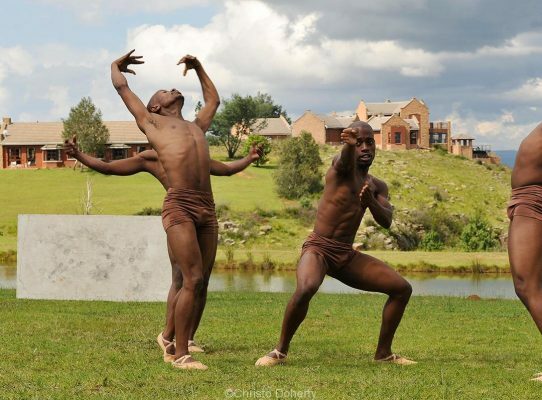 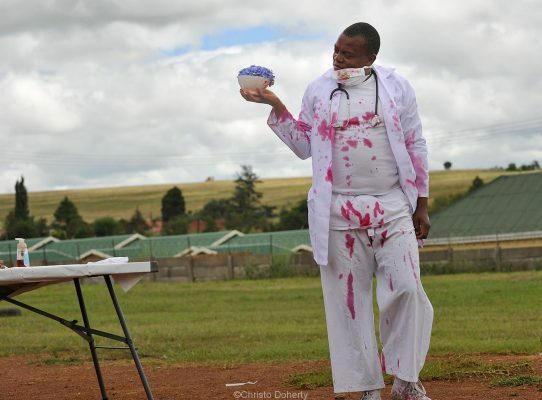 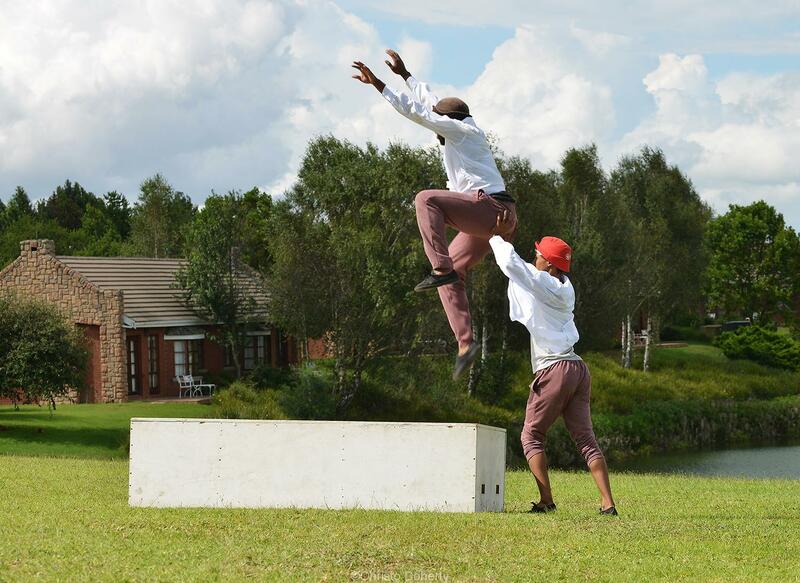 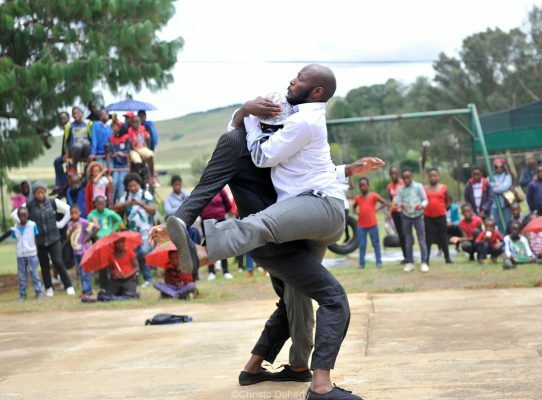 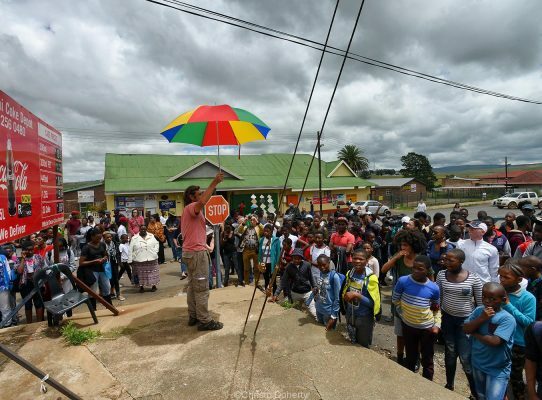 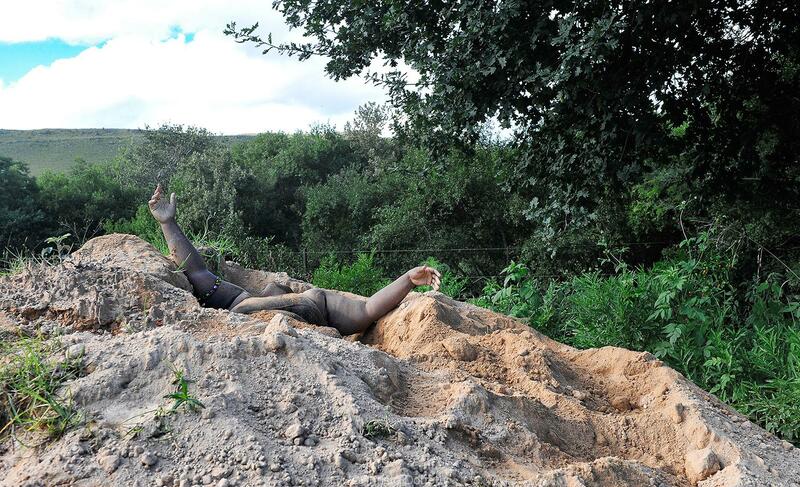 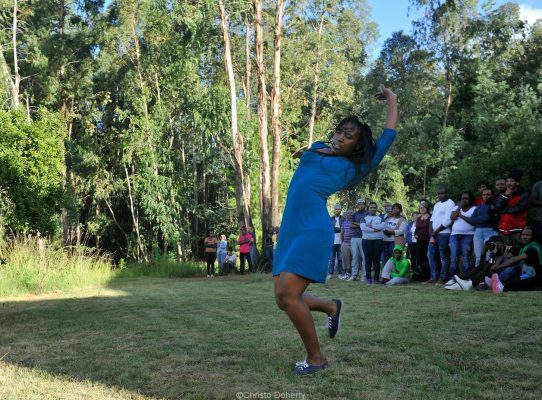 The My Body My Space: Public Arts Festival (MBMS) is a festival of public performances and exhibitions that takes place in public spaces throughout the Emakhazeni Local Municipality (ELM), in rural Mpumalanga. 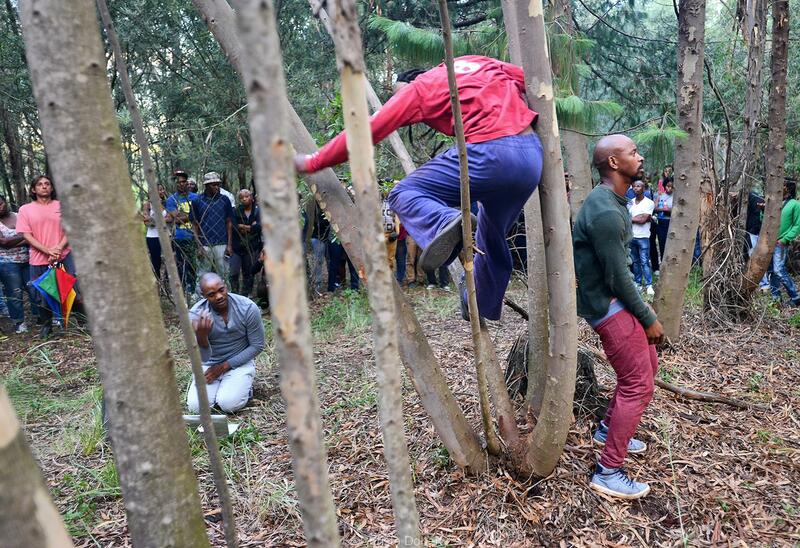 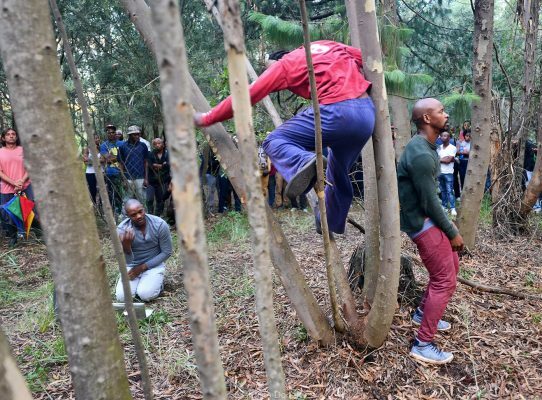 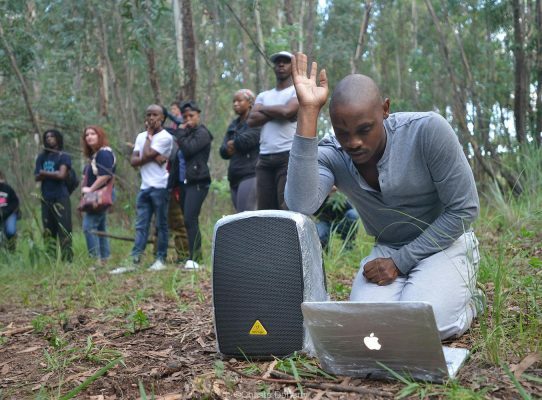 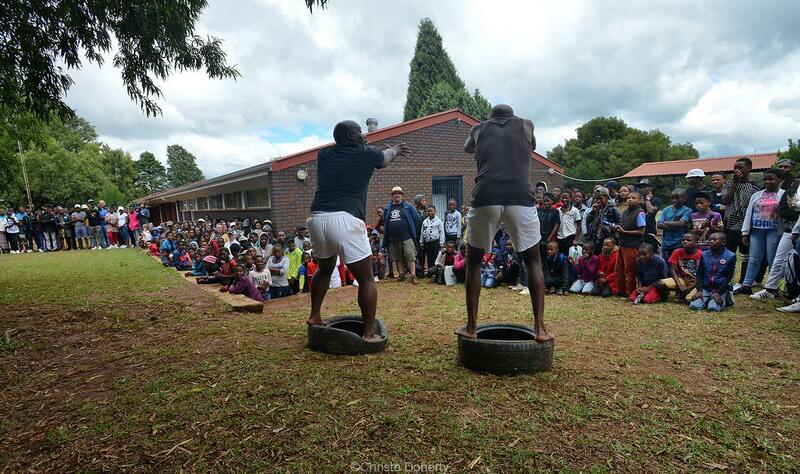 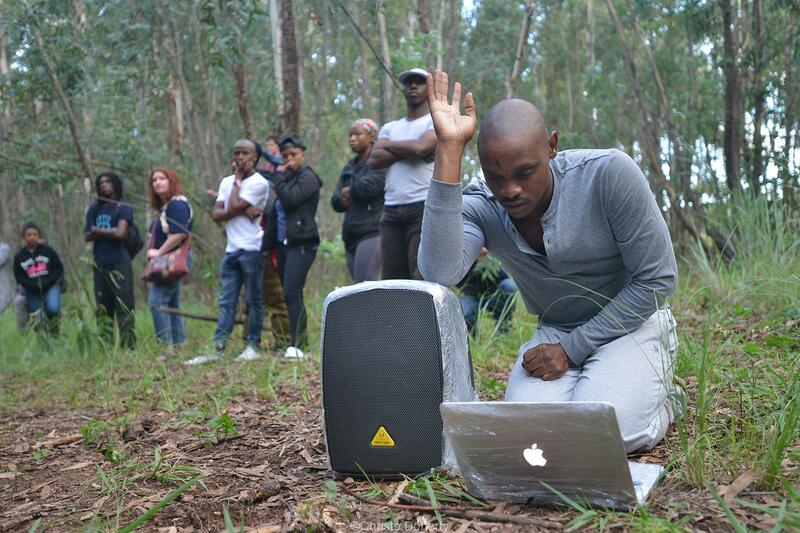 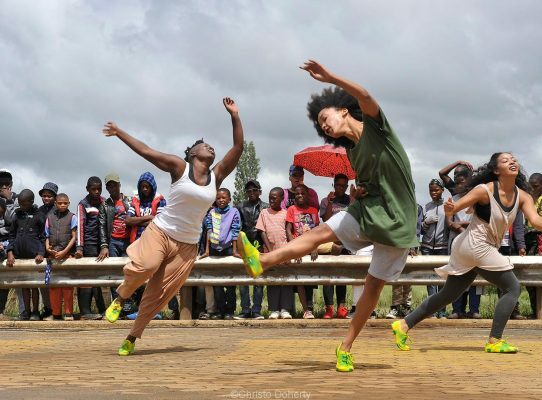 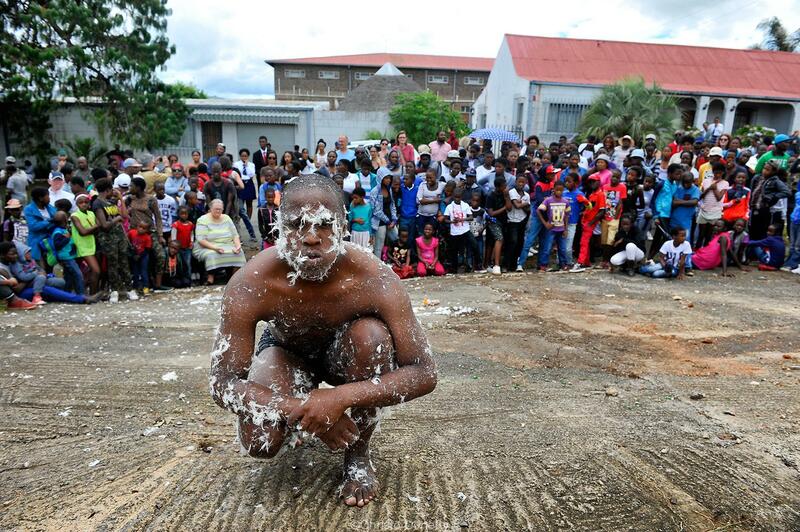 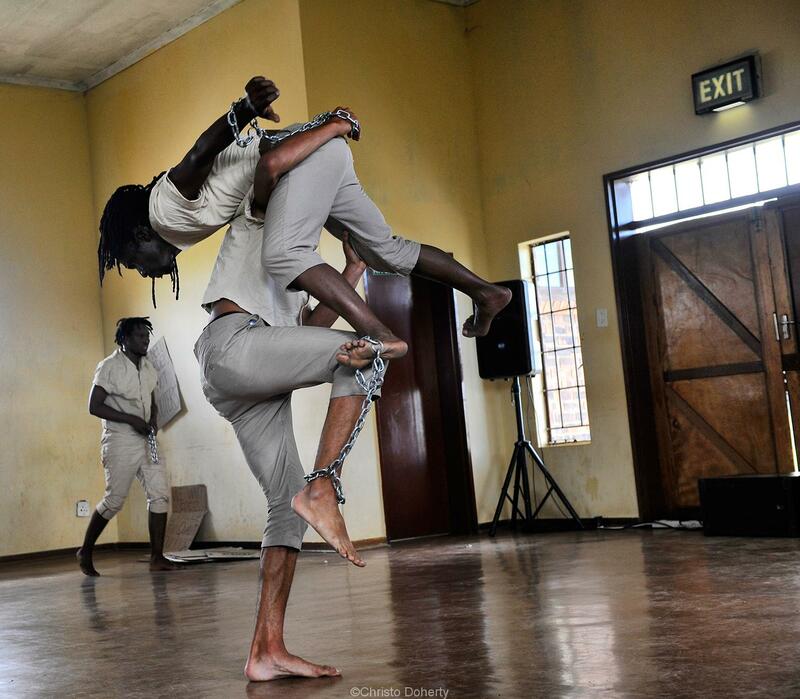 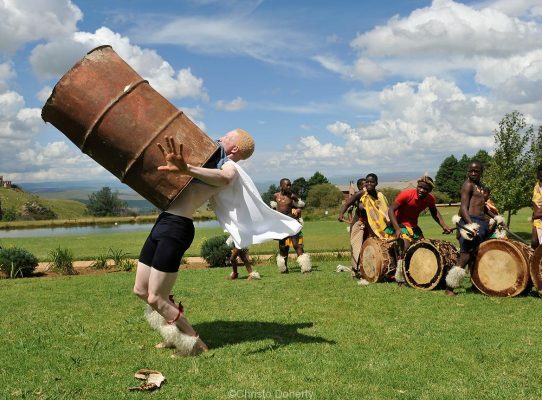 This unique rural Public Arts festival brings together the diverse rural citizenry of Emakhazeni by disrupting the familiar ways in which people move through shared social spaces. 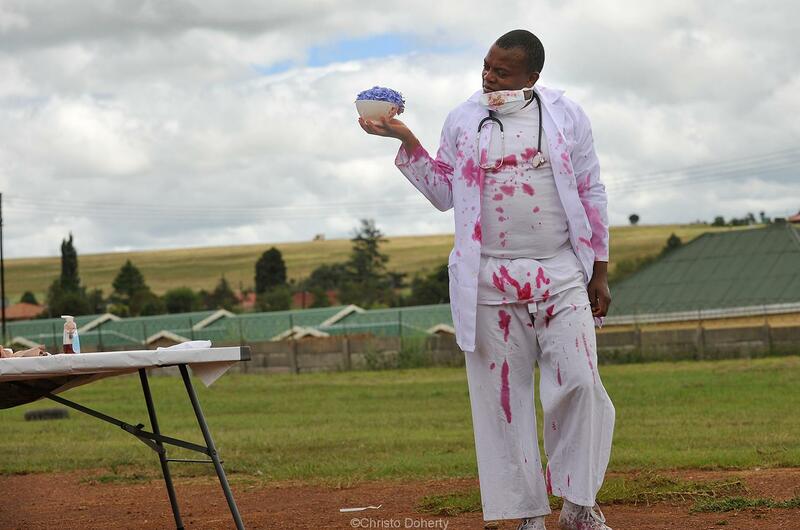 The MBMS festival is made up of 3 programmes: The Arteries Programme, the Central Nervous System Programme (CNS) and a workshop and training programme. 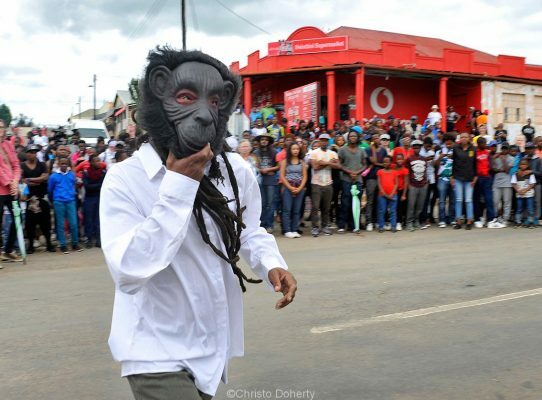 The Arteries programme is the Fringe programme in the shape of community activations in Machadodorp/Emthonjeni, Belfast/Siyathuthuka, Dullstroon/Sakhelwe and Waterval-Boven/Emgwenya. 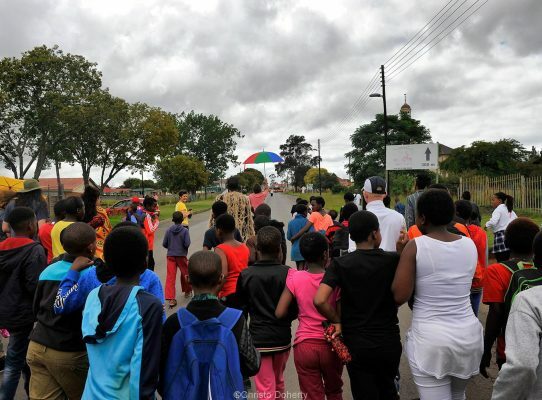 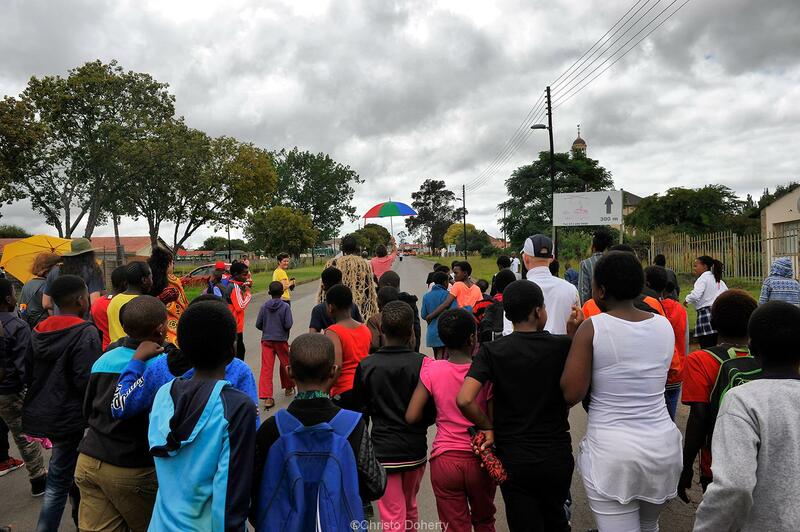 The Arteries programme takes place along major transport arteries and busy hubs such as Community and School halls, churches, street corners, tourist attraction sites, country estates, cultural & natural heritage sites and historical sites within Emakhazeni. 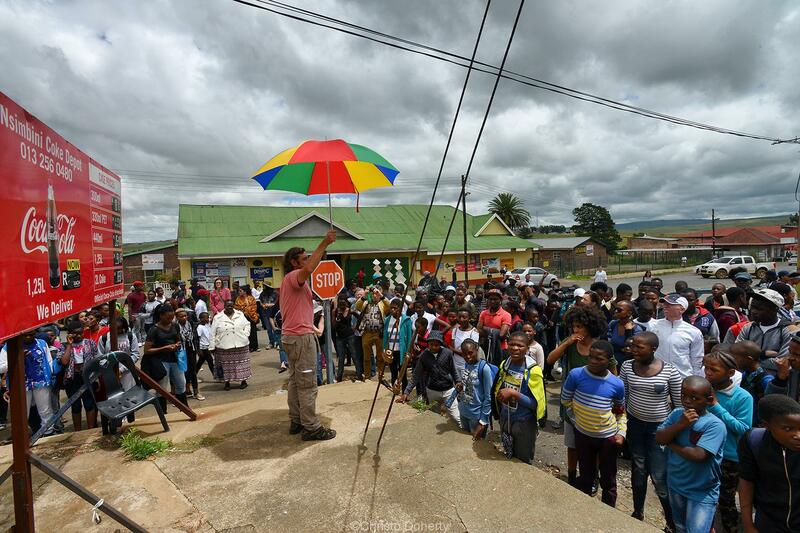 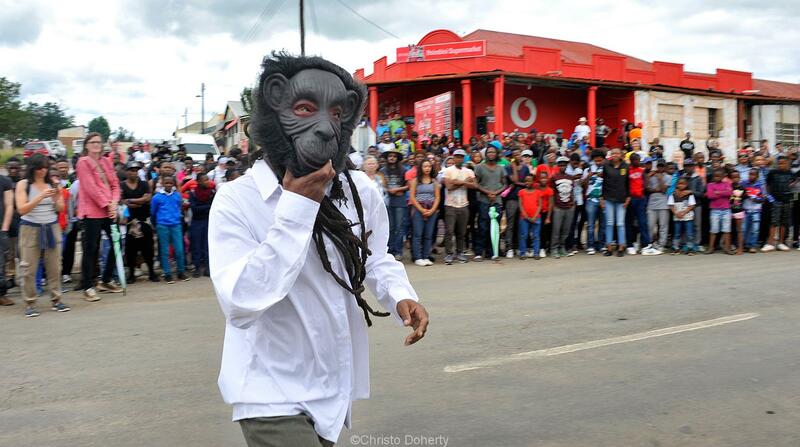 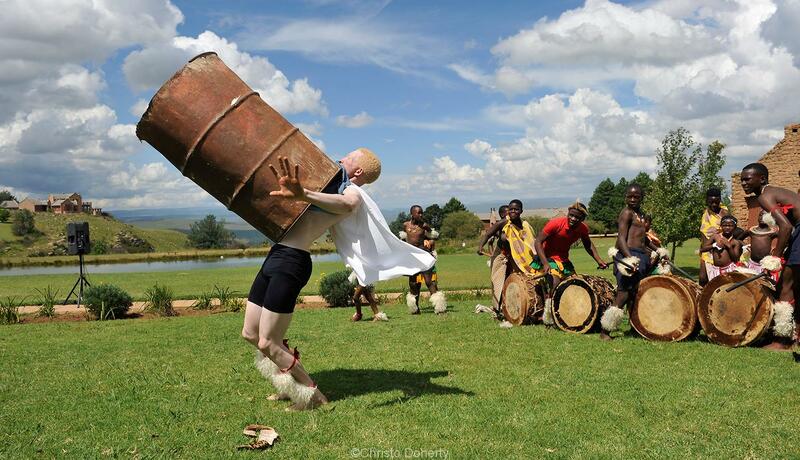 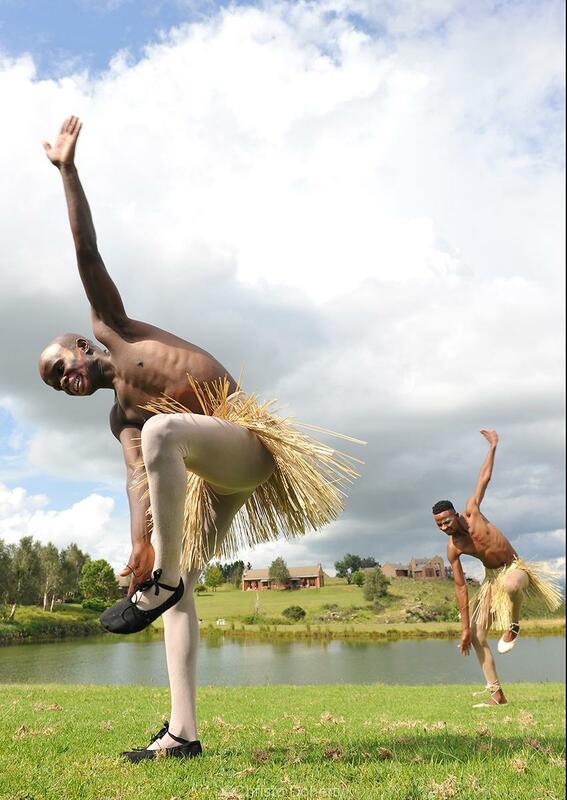 The Arteries Programme allows the MBMS festival to have a huge reach into the far-flung rural towns of Emakhazeni. The CNS programme takes place in Machadodorp and its surrounds, and is made up of a selection of commissioned performances. 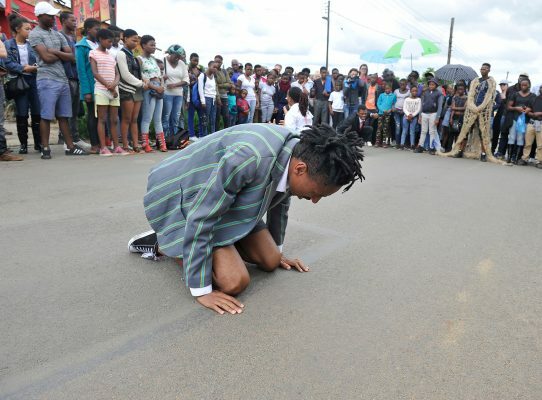 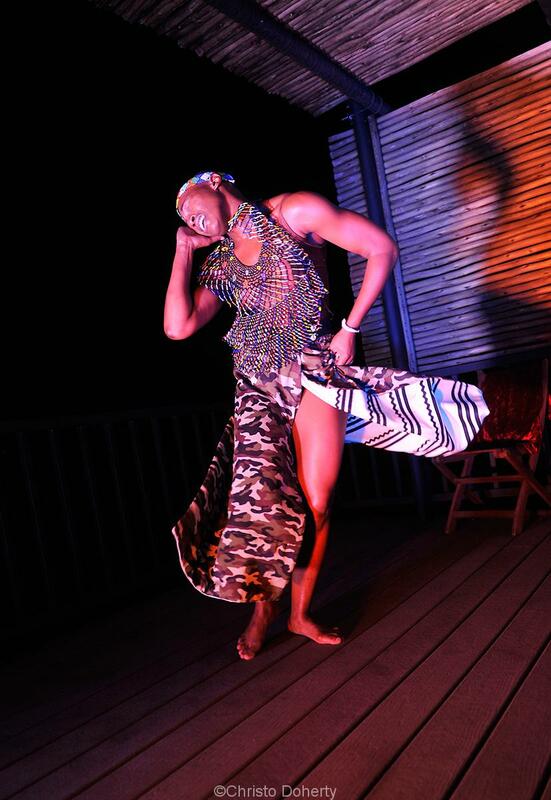 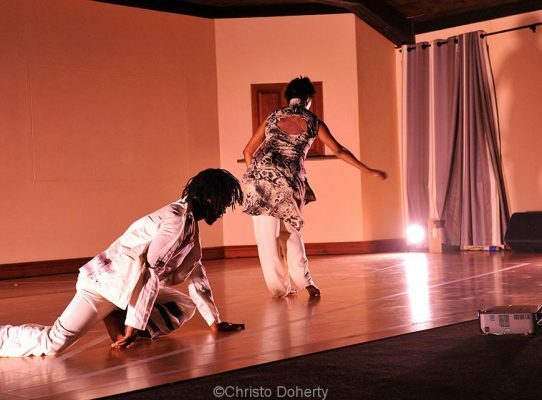 The audience is guided on foot and by COMBI through an array of happenings, performances, installations and exhibitions that are held in various public sites such as school-playgrounds, empty houses, street corners and abandoned buildings. 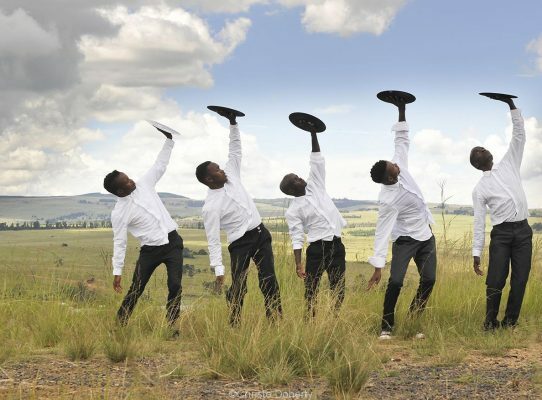 Curated works are selected based on their resonance with the festival’s thematic drive of socio-political activism as well as a focus on works that allow for a re-imagining of familiar sites in Emakhazeni towns as well as natural and cultural heritage sites in Emakhazeni. 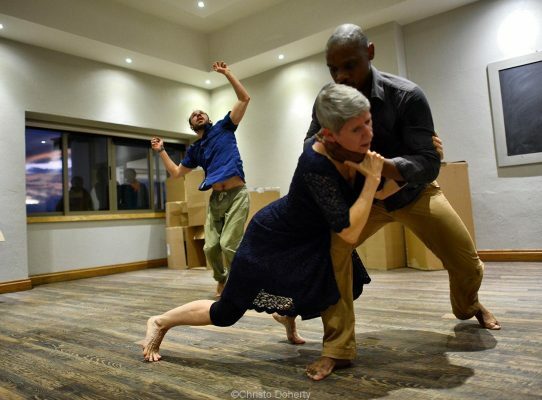 The week between to the CNS and Arteries programs is dedicated to skills exchange workshops, sharing and mini-training programs offered by Guest Artists, Facilitators and Technicians. 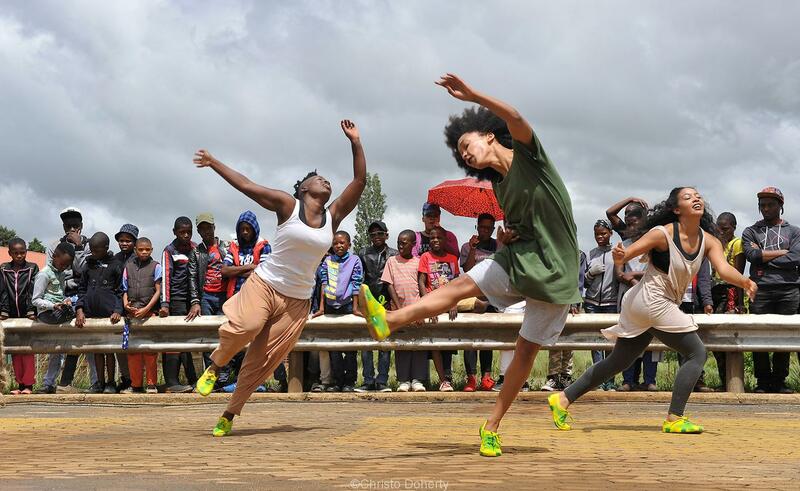 This development component of the festival is focused on youth, children, women and people with disabilities and accesses FATC’s extensive and on-going ELM Outreach Partner network and local schools. 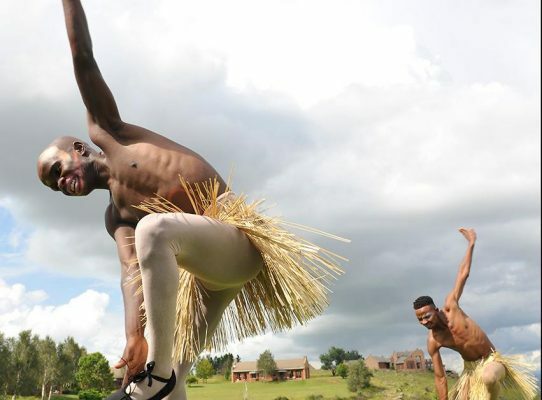 The MBMS festival is strongly committed to stimulating the local Emakhazeni economy, growing job creation opportunities and developing a vibrant arts and culture tourism sector in the region. 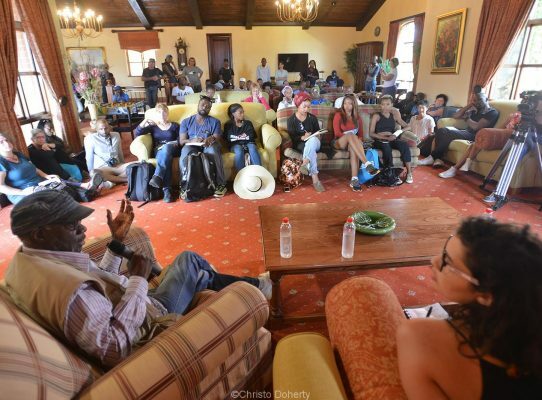 From its initial inception in 2015, the festival has grown from year to year, developing a unique rural identity which sets it apart from other festival experiences in the country. 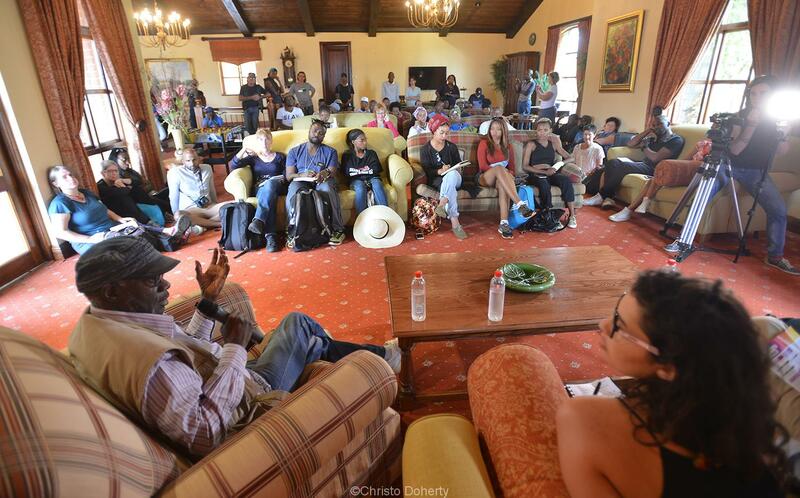 MBMS is increasingly attracting the interest of artists and promoters alike, both nationally and internationally. 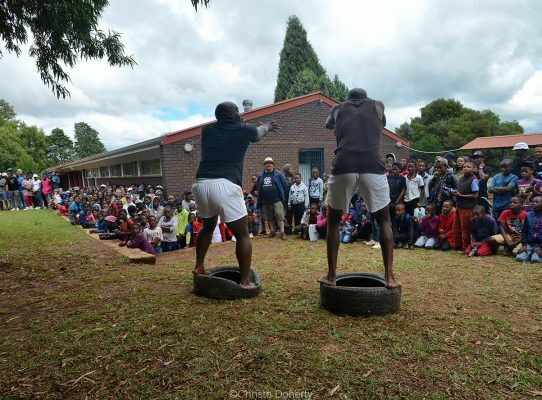 It provides a socially relevant programme of cutting edge work while simultaneously building a strong audience base in the rural community of Emakhazeni. 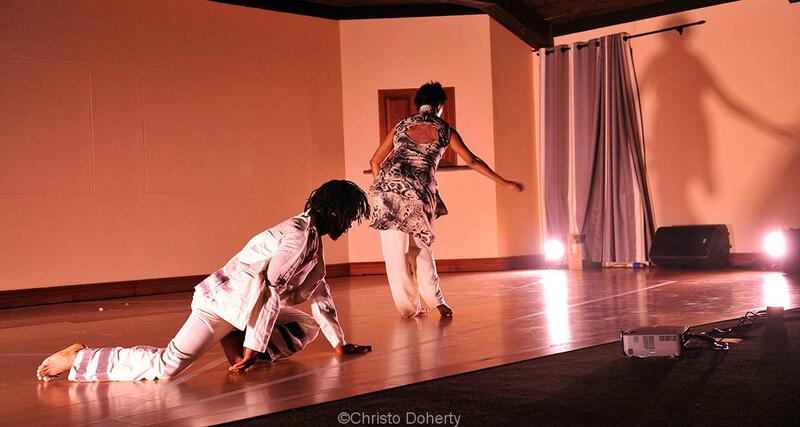 KEEP AN EYE ON OUR SOCIAL MEDIA PAGES FOR APPLICATION DETAILS AND FESTIVAL SCHEDULE.